Breezesta Counter Round Table - 48"
For a more intimate dining or gathering experience choose from the Breezesta Counter Collection of tables. 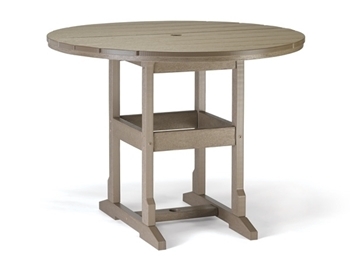 This line of countrt-height tables ranges from 26" round to 42" square and seats from 2 to 4 people. Larger tables include umbrella hole. 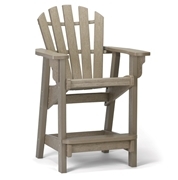 Seating options include the Counter Captain's chair available in Ridgeline, Horizon or Skyline style as well as two stools and our new Coastal Counter Chair for the ultimate seating comfort experience. Each piece is available in all 20 colors. You can also create multi-color items for a one-of-a-kind style statement. Every year thousands of high density polyethylene (HDPE) milk jugs and water bottles are rescued from America's waste stream and recycled into sturdy poly lumber. 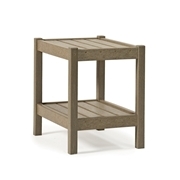 The result is a safe, maintenance-free, stylish furniture that is affordably priced for your backyard or patio. Breezesta needs little care and maintains its attractiveness even in harsh outdoor conditions.